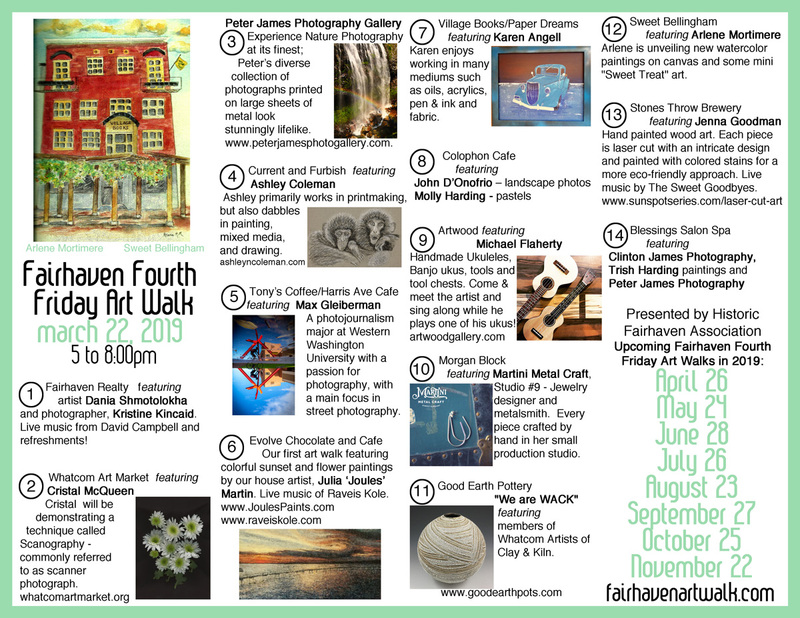 Fairhaven Fourth Friday Art Walk - Monthly art walk in Fairhaven, WA. 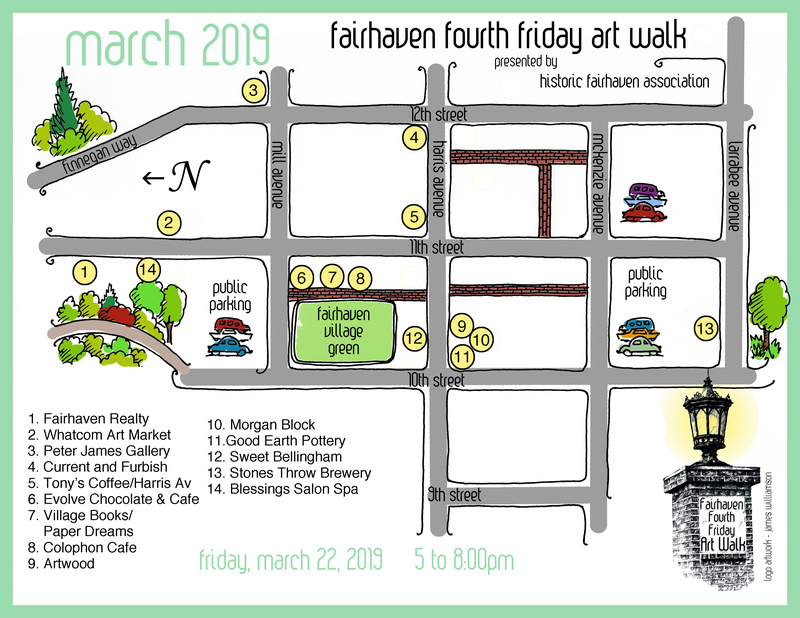 Come to the Fairhaven Fourth Friday Art Walk to meet the artists, see demonstrations, partake in refreshments, and enjoy entertainment. Each month will feature new and exciting artists.